Up for sale is a 2005 Hunter Shadow 5 foot wide, 2 door. Trailer has been an amazing little trailer for our family, but we have grown and need something bigger. Has been in our family since 2007 and bought form the original owner who used it twice. Trailer has a battery for lights and 12v "cigarette lighter". Also has shore power for full hooks ups to use outlets. Cabin has fan to draw heat out through the galley which runs off the battery. Custom LED taillight have been installed for better visibility (Original taillights included). The door handles have been updated to have interior locks (originals included). Delta tongue box installed in place of spare tire mount, mount and full size spare will be included. There is a lot of storage. The queen size bed lifts opens from each side for storage under. The wood cabinets of the head board open for a large storage area with a shelf above it. Above the foot area of the cabin has two large shelves as well. Galley has lots of room for totes, a large shelf to hold supplies, large drawer for silverware or other supplies. Don't forget about the large Delta tongue box for all kinds of supplies which you may not want to put inside the trailer itself. This trailer has been on a couple 2,000+ mile trips without any issues, taken trips to the coast, Shasta, Icehouse, has been in the rain/snow without any leaks. Has been stored under a carport, had a cover on it or garage kept. Tows great with a 4 cylinder Subaru outback, V6 pathfinder or anything larger. I would say the Subaru would be the smallest you would want to use to tow. 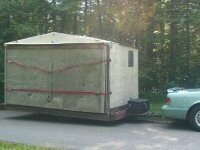 The trailer isn't light with all the wood finishing and full steal frame, not a cheap tin Harbor Freight frame, but can be moved by stronger adult. Located in Orangevale CA. Asking $7,000 OBO. Willing to meet within reason for transfer. Please contact me by PM or email at btcrum(at)gmail(dot)com for more information. Last edited by Brian Crum on Thu Apr 04, 2019 9:39 am, edited 6 times in total. 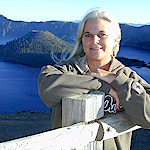 Thank you Joanie, it has been so much fun being a part of this hobby and I am sure we will be back once the boys are grown! 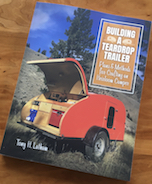 This is a great solid trailer to get into the Teardroping community! I always thought that Hunter was a well designed 'drop. For the life of me, I can't think of the companies owner but he and his wife must have spent many a night in theirs. 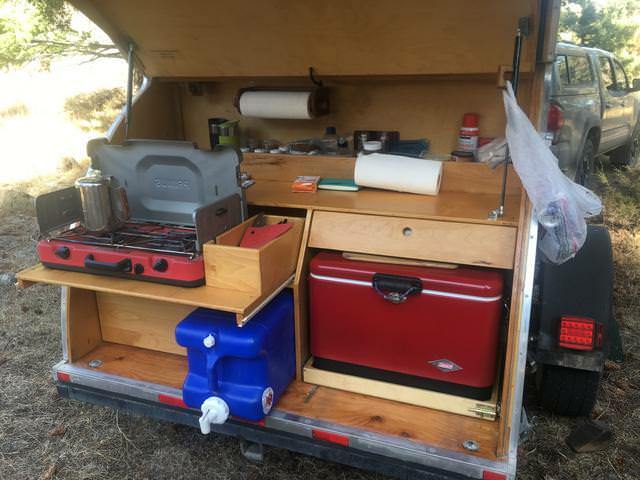 I'm on the edge of build #4 and I'll still copy Hunter's headboard with slider storage and galley. Priced to sell, willing to discuss price as well. Motivated!